We have already seen in the section on life on Earth how the main complex structures found in living organisms are PROTEINS and the nucleic acids RNA and DNA. Proteins consist of a number of sub units called AMINO ACIDS. All forms of life on Earth use 20 different amino acids in the formation of proteins. Details of the chemistry of amino acids and proteins are described more fully in the section on 'The Chemistry of Life'. All amino acids are made up of different arrangements of carbon, oxygen, nitrogen and hydrogen atoms. Sulphur is also present in three of them. A fairly recent discovery has detected some proteins which contain the amino acid selenocysteine. Experiments are now being carried out in which artificial proteins are being synthesized containing amino acids not found in nature. Details of research into this field are available in a number of websites mostly from laboratories in Europe and America. Some details of these can be found in website relating to the Austrian Centre of Industrial Biotechnology. (Google for Birgit Wiltschi Junior Group for Synthetic Biology in Graz, Austria.) Taking the matter even further some scientists are standing on the threshold of producing artificial chromosomes and even completely synthetic microorganisms. The possibility of a sort of mirror world in which many of the compounds which are found in living organisms can exist in two forms really began, nearly 150 years ago, in the discoveries of Louis Pasteur and of two young men Henri van't and Joseph Achille Le Bel. In September 1874, before he even obtained his doctors degree, van't Hoff (see the picture on the left top) who lived in a small town in the Netherlands Henri van't Hoff wrote an eleven-page dissertation in his native language about the arrangement of atoms in space. It was fortunate for him that he published when he did; two months later in November of that same year a young Frenchman Joseph Achille Le Bel (see the picture on the right above), gave a lecture to the French Chemical Society, on almost the same subject. Both of them were inspired by researches carried out by Louis Pasteur (see the picture on the left above) in Paris. 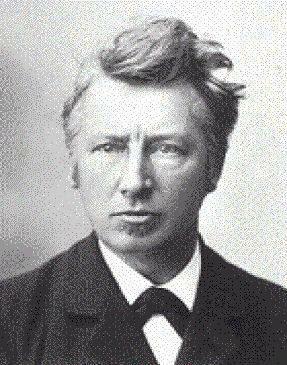 A short biography of the life of van't Hoff is given in my other website named Visions of the Cosmos. The biography of Le Bel is given in the Encyclopaedia Britannica. 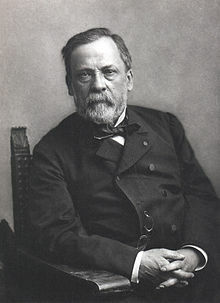 The name Pasteur is widely known even outside the scientific community and he is the subject of several biologies. 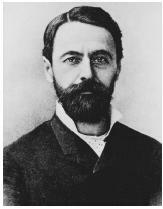 The two young men based on experiments by Pasteur had discovered the simple fact that if a carbon atom is connected by four single covalent bonds to four different atoms or groups of atoms A, B, C, and D then two different arrangements in space are possible. This results in the existence of two forms (isomers) which are mirror images of one another. Furthermore It was found that in general only one of them was biologically active - they are the left handed forms. 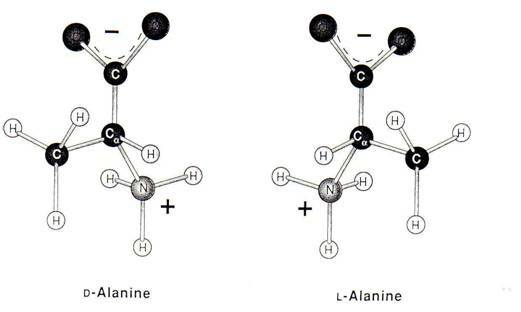 Diagrams of the left and right handed molecules of the amino acid alanine are shown on the right above.